Scrummy become our regular spot for dinner in Jalan Ipoh area. It is a nice cafe for all time meals including hanging out with friends for a little chat. So what I am going to talk about today is about few things. 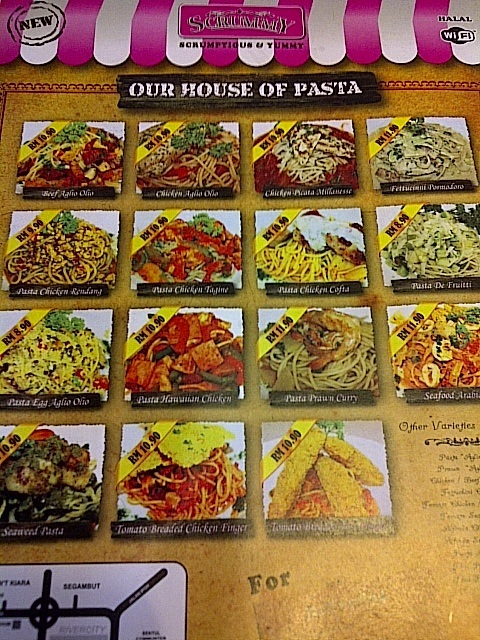 First, Scrummy have new menu for all kind of pasta. I'm not with them 100% for this but it seems not bad trying out new thing, especially with pasta. They use local cuisine flavor concept push to the top with pasta combination. 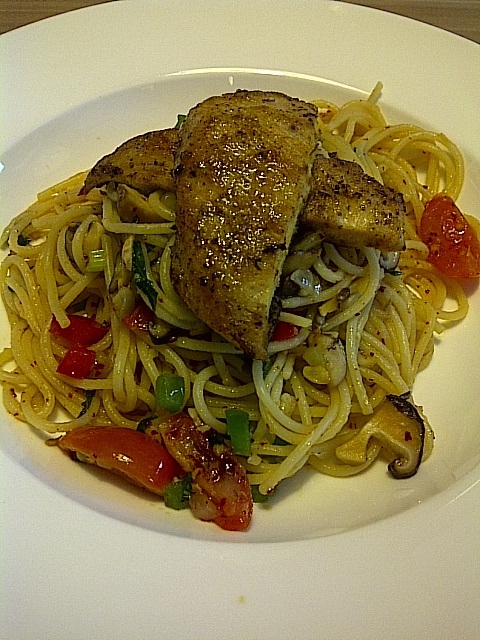 A normal Aglio Olio they can come up with few choices like Chicken Aglio Olio and Beef Aglio Olio. (wait..I think they also have Pasta Eggs Aglio Olio..YES! They have it!). The prices are range from $RM 11 to $RM 12, just the pasta of course. I think they are not the first to do this. 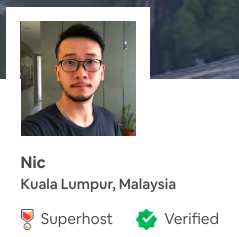 Well, blame on my lack of experience in this. I had Chicken Aglio Olio tonight and I always isn't a fan of chicken breast(Well, you know what they gave me). Beef Aglio Olio isn't bad. I tried before. RiverCity car park is no longer free for first 2 hours. The new fee effective from 1st July with free parking for first half hour and then $RM 1 for sub-sequence hour. $RM 2 for weekend and public holiday PER entry. It's bad news for us because we always dine-in there (2-3 times a week) and we wont finish the dinner within 30minutes.....right? Will you? Do you notice about my post title of this one? I was wondering. 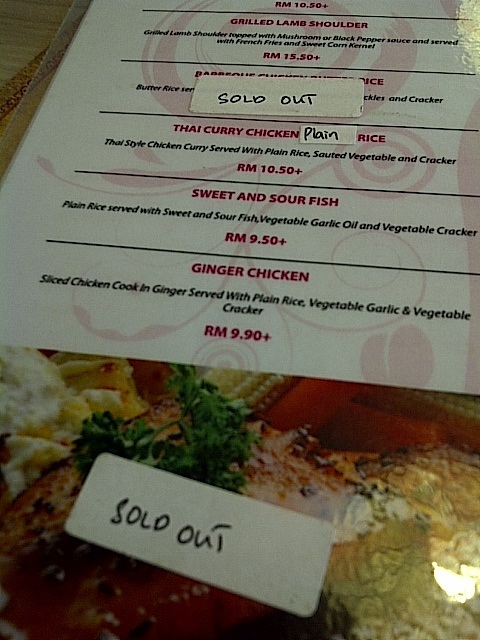 Was it really SOLD OUT? NOooo...it wasn't! Why? Because they put sticker in the menu! If you come back restaurant the next day, you will still see stickers on it. So why Not-Available item you label it as Sold-Out? To impress customers that your items were really sold out on that day. That customers might thought the food was actually fantastic til it sold out.